Just in case you missed it! 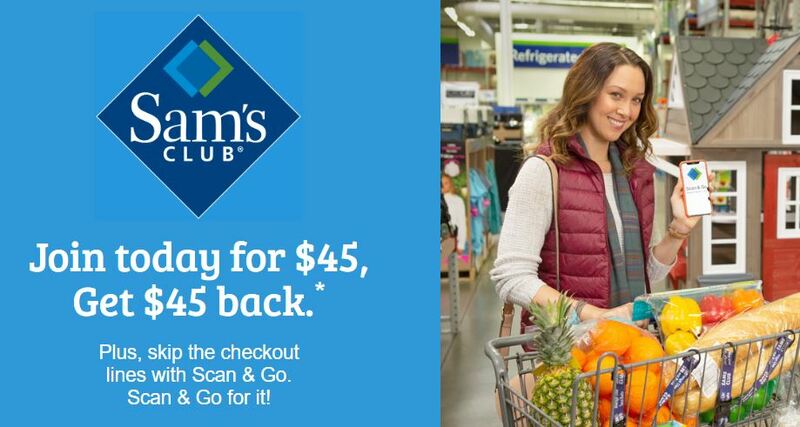 Right now when you sign up for a NEW Sam’s Club Membership you’ll get $45 Instant Savings off one $45+ transaction of qualifying purchases! After taking the instant savings into consideration, it’s like getting your membership for FREE! Simply go here and enter your email address. You will then be sent an email with a unique promotional code and instructions to set up your new Sam’s Club member account. Your $45 Instant Savings offer will be loaded onto your new membership account via Instant Savings within 72 hours of membership activation and is valid for 30 days. Note that after this purchase you will be set up for Auto Renewal after your first transaction in club, which will be an annual recurring charge in the amount of the, then standard, membership fee for all active memberships on your account. You can manage and/or cancel your auto renew subscription anytime by logging on to your account on SamsClub.com.